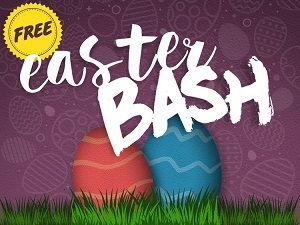 Broadway Church will be hosting an Easter Bash on Saturday, between its Good Friday and Easter Sunday services. When I googled ‘Easter services Vancouver 2019,’ the top listing was Vancouver’s Best Places, with its catalogue of Easter Activities in Vancouver. Once you get there, the offerings are pretty good, focusing on thee mainline churches – Anglican (Christ Church), Catholic (Holy Rosary) and United (St. Andrew’s-Wesley), along with three evangelical ones (Broadway, Willingdon and Northview). Contrary to popular belief, Easter isn’t the birthday of the Easter Bunny – it’s a Christian religious holiday marking the resurrection of Jesus Christ. Easter is actually one of the two days of the year when the largest number of people attend church, with the other day being Christmas Eve. 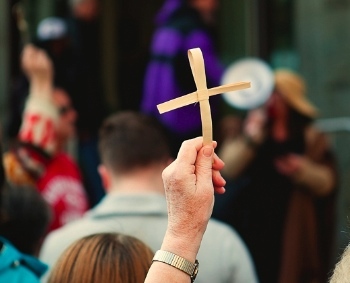 Whether you are Christian, Christian-curious or just plain curious, church services on Easter Sunday (April 21) can be very interesting, and an important traditional part of Canadian culture (although more so in the past). Every church is different, however, and what appeals to some doesn’t to others. Check out a service with a church denomination you feel comfortable with, or check out a new one just for the experience. Easter Bash at Broadway Church – a free event with over 20,000 Easter eggs, pony rides, bouncy castles and carnival games from 11 am until about 2 pm on Saturday, April 20, 2019, at 2700 East Broadway. 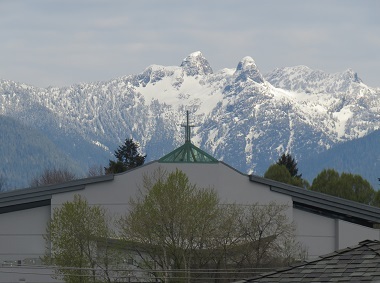 In addition to their traditional Easter Sunday services, many churches in the Lower Mainland offer their own Easter egg hunts, sunrise Easter services and other celebratory activities. Check out a congregation in your area. There will be prayer around the clock at the 24/7 prayer room during Holy Week. • Holy Week 24/7 Prayer: “Join us for 24/7 Prayer during the week leading up to Easter. The room is designed to lead you through an interactive stations of the cross. Let’s fill 168 hours with prayers. Starting at midnight of the 14th to Easter Sunday at midnight.” This one is not out in public, but does involve Christians from many churches and will undergird other gatherings. • Way of the Cross East Vancouver: In the Nanaimo and Hastings area, beginning at the Longhouse and continuing to Vancouver East Vineyard and Ward Memorial Baptist (with Joy Fellowship). 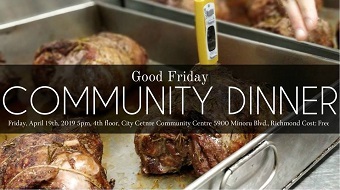 Join in The Way of the Cross Walk in the Downtown Eastside on Good Friday. • Easter Neighbourhood Block Party: “Join us for a free neighbourhood block party – there will be food, games, treats and activities for the whole family. Come connect with your community and enjoy a fun celebration: you are so welcome here! 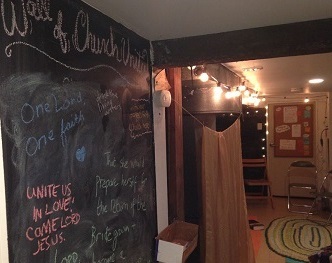 City Life Church welcomes Kitsilano. • Way of the Cross at Queen Elizabeth Park: “Proceeding through the trails of the park with prayers, mediations and songs.” Sponsored by the Roman Catholic Archdiocese of Vancouver. • Walk of Grief: “In the tradition of the Via Dolorosa ‘way of the cross’ we will walk through our [Commercial Drive] neighbourhood listening to the Passion narrative in contemporary settings.” Grandview Calvary Baptist Church will then hold a Service of Lament. • East Van Sunrise Service: Churches such as First Vancouver Christian Reformed Church and Grandview Calvary Church will gather at the south end of Trout Lake, and I’m sure all are welcome. No doubt there are other joint, public expressions of faith during Holy Week; I would love to hear about them.